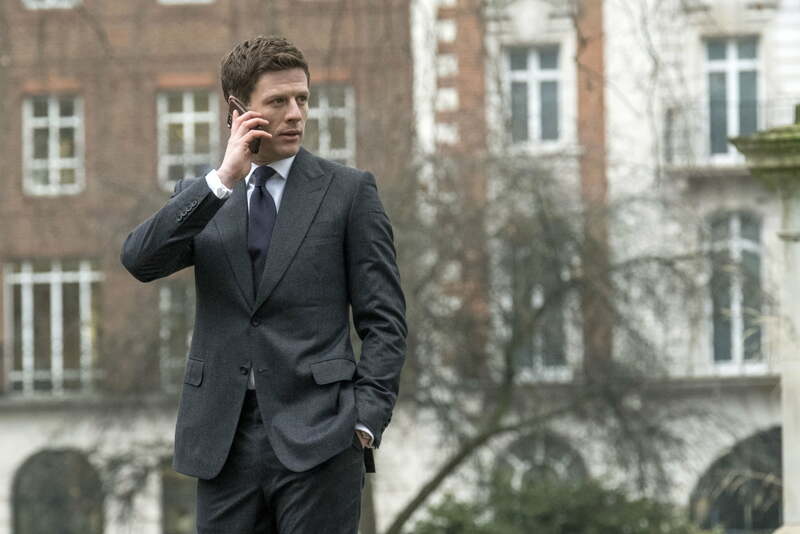 McMafia, inspired by the non-fiction book of the same name, doubled Croatia for locations as various as the South of France, Tel Aviv, Cairo, Istanbul, Moscow, Prague, India, Pakistan and, even the Norwegian embassy in London. The new eight-part drama series starts on BBC One tonight. Here’s the trailer. In London itself the location filming centred on upscale cafes, bars, museums and homes around Knightsbridge, along with Kensington Gardens. But there were a couple of scenes in Camden’s Gordon Square featuring the heartthrob star James Norton, who plays Alex Godman. FilmFixer manages the film office service for Camden. FilmFixer director Karen Everett says, “Although there was very limited outdoor filming in this part of town, we were involved in a couple of scenes shot in Gordon Square. And donations were made to local residents in Camden by the way of thanks.